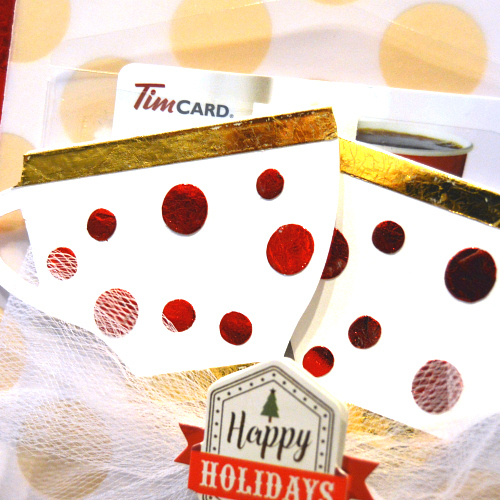 What’s not to love about this shiny Foiled Coffee Cups Holiday Gift Card Holder? Using our adhesives to Wear Your Adhesive on the Outside with craft foils is a perfect combination for this card…well, for all other occasion cards 🙂 Let Christine Meyer share details about her card. We are again a participant and a SUPER SPONSOR too! The Coffee Lovers community is a coffee-loving (or tea or cocoa) group of card makers open to everyone. Their blog serves up inspirational coffee-related posts and bi-annual blog hops that anyone can join! Blogging participants get a chance to win giveaway -there are over 80 prizes! Link up to enter to win! As complicated as this card may look, it’s actually fairly simple to put together. Here is a close up of the card. Love how the foil just makes this card pop! I used Extreme Double-Sided Tape 1/4-inch along the edges of my card. Then I added red foil to the top from the 3D Foam Holiday Embellishment Kit. I also added Creative Photo Corners Gold to the corners to accent the patterned paper and vellum off the card a little bit. Let’s take a look at those coffee mugs! The foil was added to them using a combination of Extreme Double-Sided Tape 1/4-inch and Adhesive Dots in various sizes. When you Wear Your Adhesive on the Outside, you have an easy way to add creativity to a product that usually hides between the layers! Lastly, before adding on the coffee mugs, I housed the gift card in a medium size Keepsake Envelope. These envelopes are clear and have permanent adhesive on the entire back-side so they don’t interfere with the design of my card. Thanks so much for joining us today and be sure to continue along with the hop! Details are below. The contest is over but you can still visit the link for tons of inspiration. Watch for the next hop coming in May 2019! We would love to hear from you! If you cannot see the comment section at the bottom of this post, please CLICK: Foiled Coffee Cups Holiday Gift Card Holder and scroll down to the bottom of the post. This entry was posted in Adhesive Dots & Lines, Adhesives, Announcement, Cards, Crafts & Tutorials, Creative Photo Corners, Extreme Double-Sided Tapes, HomeHobby by 3L, Keepsake Envelopes, Permanent Adhesive, Seasonal Craft Ideas, Skill Level, Wear your Adhesive on the Outside, Winter and tagged 3D Foam Creative Embellishment Kit with Foil, Adhesive Dots Large, Adhesive Dots Medium, Adhesive Dots Small, Blog Hop, Card, Card Making, Christine Meyer, Craft Foil, Creative Photo Corners Gold, Creative Photo Corners Mix Pack, Extreme Double-Sided Tape 1/4", Foil, Gift Card Holder, Giveaway, Holidays, Keepsake Envelopes, Wear Your Adhesive on the Outside. Bookmark the permalink. 41 Responses to "Foiled Coffee Cups Holiday Gift Card Holder"
Such a great idea Christine. You are so creative. Awe so fab Thank you for sponsoring the Fall and Winter Coffee Lovers Blog Hop! Love the pretty foiled red polka dots on cute cups! Thanks for being a super sponsor! Oh wow this is so pretty! Love those shiny cups and the big bow!! Thanks for being a Super Sponsor! What a CUTE gift card holder! The foiling puts the design over the top fabulous! Thanks to Scrapbook Adhesives for being a returning Super Sponsor!!!! Oh wow!! That foiling is fabulous! Thank you for being a Super Sponsor! OMG this is beautiful! So festive and gorgeous! Great gift card idea. Beautiful card. Thanks for being a sponsor for the hop. Such pretty foiled coffee cups! Awesome project! I especially love that it holds a gift card! Very cute and so special with the foiling. Thanks for being a sponsor. Great foiled design. Thanks for being a super sponsor. Oh love those polka dots cups. Thanks for being a wonderful sponsor to the coffee hop. The gold foiling looks so pretty. Thanks for being a super sponsor. The foiling is so yummy! Very pretty card. Thanks for being a super sponsor of the hop. Beautiful card. Nice foiling. Thanks for sponsoring. Love the foiling and such fun pretty cups! Thanks for being a sponsor too! Wow! Love those bright dots and wonderfully bright foiling! Makes for such a special card! Thanks so much for the inspiration! SO beautiful!! Love the foiled accents! Thank you so much for being a sponsor again! What a great presentation for a coffee gift card! Fabulous festive card!! Thanks for being one of our super sponsors! Wow, so stunning. All the elements and dimension are fabulous! Lovely project. Reminds me that I keep meaning to try foils. Such a fun card! Love the foiled accents on the cups! Lovely gift card holder. The foil really is beautiful. I love the touch of white tulle. Super sweet! Thanks for inspiring and sponsoring. Very appreciated, indeed. Love the foil! She makes this card pop! Wow! The foil makes your cups look so real. Such a lovely card. Thanks for the inspiration and for sponsoring! I adore everything about this card, the foiling, the gold photo corners and the tulle! This is such a pretty card! Love the foil! Makes it shiny and bright!! Fabulously festive! I love the shine from the foiling. 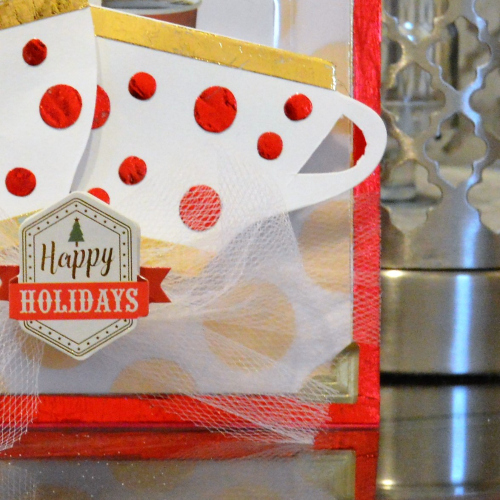 love this gift card holder – so cute! and, the foiled cups are fabulous! Thanks for being a super sponsor!! Gorgeous! Love the foiling. Thanks for sponsoring. Fancy foiling! Thanks for hopping along with us and for being a super sponsor!!! What a sweet gift pack! Thanks so much for sponsoring this fun hop!